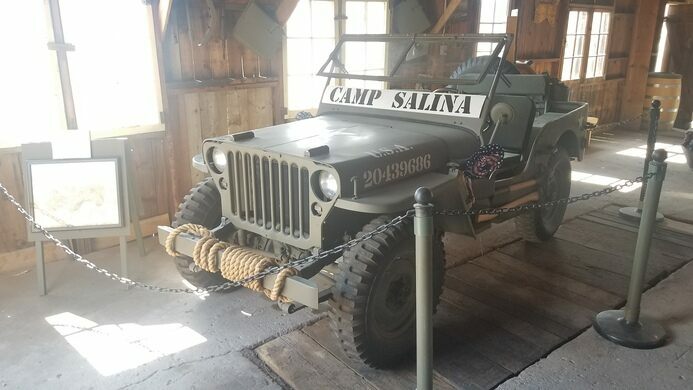 What began its life as part of a Depression-era work program later became the stage for what many call the worst massacre at a prisoner of war camp in United States history. Today, the site houses a museum remembering the historical events that occurred in the small Utah town. 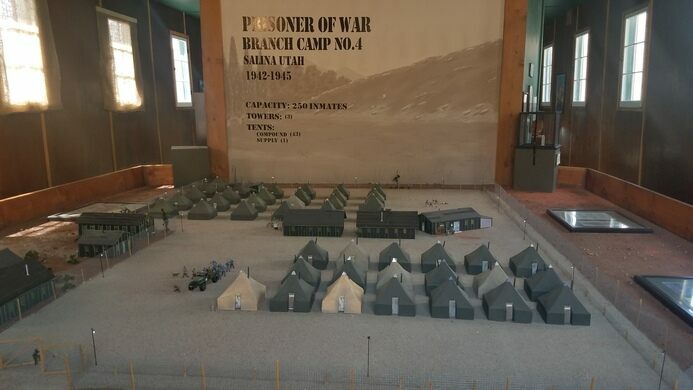 On display are numerous artifacts and recreations of barracks and a guard tower that tell the story of the massacre that cemented the camp’s place in history. A Mars simulation in the southern Utah desert. During the height of the Great Depression, one of President Franklin Delano Roosevelt’s New Deal programs to help alleviate poverty was the Civilian Conservation Corps. Young, unemployed men were hired to provide manual labor on government worksites in exchange for a salary and free housing and meals. When the United States joined World War II, however, Congress decided to end the program, believing it would be better to draft the unemployed men rather than have them do conservation work. As such, the CCC camp in Salina, Utah, and numerous others around the country, soon found a new purpose. As the U.S. began capturing soldiers from Germany and Italy, the old CCC camps were converted into prisons to hold these enemy soldiers. 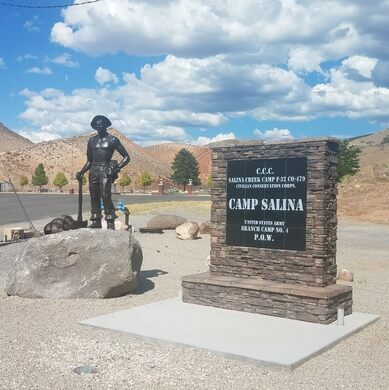 The camp in Salina held 250 German soldiers who were primarily captured in northern Africa while serving under Erwin Rommel’s Afrikakorps. The German soldiers were paid a small sum to work in the farms in the area and housed in the prison camp at night. And so he did. At midnight on July 8, 1945, Bertucci climbed a tower at the POW camp to begin his overnight guard shift. Within moments of starting his posting, he loaded 250 rounds into a machine gun in the guard tower and began shooting at the tents filled with the sleeping German soldiers. He fired all 250 rounds in 15 seconds, hitting 30 of the 43 tents in the camp. An American officer rushed up the tower after the firing started and Bertucci surrendered peacefully. Bertucci was found to be insane by a military court and spent the rest of his life in a mental hospital, dying in December 1969. At the time of Bertucci’s actions, Germany had already surrendered, so the surviving German POWs were sent back to Germany once they were healthy enough to travel. The story of the massacre of German prisoners in Utah was soon pushed out of the media’s attention, as only a few weeks later the atomic bombings in Japan occurred. 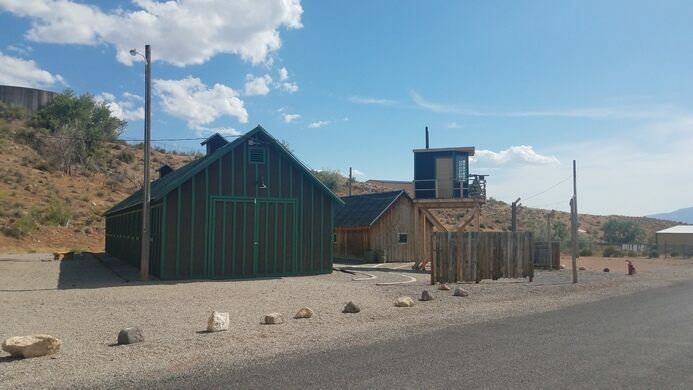 Today, a museum at the site of the CCC and POW camps commemorates the historical events that occurred in the small Utah town. 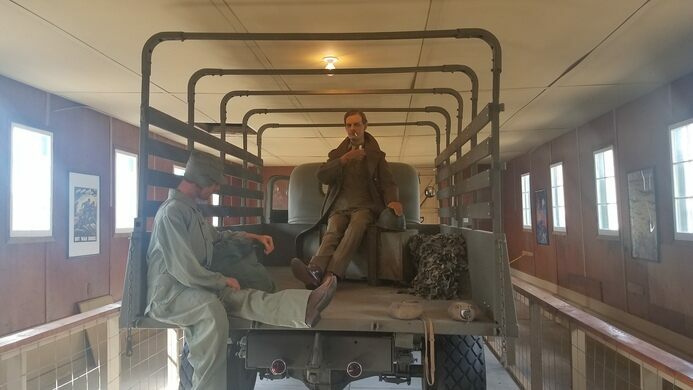 On display are numerous artifacts and recreations of barracks and a guard tower. The museum is open for the summer starting Memorial Day weekend, Tuesday through Friday from 4 p.m. to 6 p.m. and on Saturdays from 10 a.m. to 2 p.m.